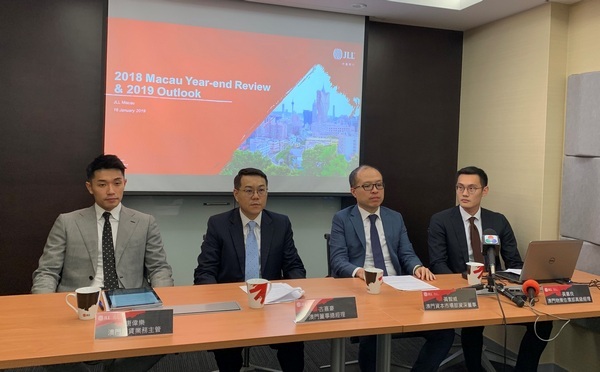 (16 January 2019, Macau and Hong Kong) Shadowed by the various regulatory measures on the property market and the external economic uncertainty, Macau’s property market softened and saw a slowdown in investment sentiment, according to JLL in its Macau Year-end Property Review 2018. According to the DICJ statistics, Macau’s gaming revenue continued to grow following the uptrend in 2017 and recorded at MOP 302.85 billion in 2018, up 14% y-o-y. In fact, the city’s gaming revenue has seen monthly y-o-y growth for 29 consecutive months since August 2016, and been back to the over MOP 300 billion level for the first time since 2014. The VIP and mass markets saw y-o-y growth of 12.8% and 20.0% respectively in their revenues in the first three quarters of 2018, with VIP market accounting for 55.4% of the total gaming revenue, down 1.5% y-o-y. Macau’s GDP totalled MOP 306.08 billion in the first three quarters of 2018, up 5.6% y-o-y. The expenditure-based GDP showed that the growth was mainly driven by the gaming-related export of services that grew by 11.0% y-o-y and made up 85.3% of Macau’s total GDP. During the first three quarters, private consumption expenditure and government consumption expenditure rose by 5.1% and 4.0% y-o-y respectively, while fixed capital formation fell by 11.2% y-o-y due to the reduced number of construction projects. Macau’s total visitor arrivals recorded at 32,233,000 in the first 11 months of 2018, up 9.1% y-o-y. Visitors from Mainland China were still the dominant, accounting for 70.8% of the total, while 48.7% out of which visiting Macau under the Individual Traveller Scheme (ITS). Remained the key growth driver for Macau’s visitor arrivals, Mainland visitors increased by 13.3% y-o-y. As of November 2018, the total supply of hotel rooms in Macau recorded at 38,100, out of which 24,500 were five-star hotel rooms. The cumulative occupancy rate of hotel rooms in Macau increased to 91.3%, while the average length of stay of guests maintained at 1.5 nights. The labour market in Macau remained broadly stable in 2018. According to the DSEC statistics, the unemployment rate fell a bit to 1.7% while the overall median monthly income stayed at MOP 16,000 as of the end of the third quarter. The number of imported labour in Macau reached a record high of 188,854 as of end November, up 5.2% from end 2017. The total resident deposit in Macau increased to MOP 608.10 billion as of end October 2018, up 5.5% from end 2017. “Driven by the completion of major gaming facilities during the year, Macau’s economic indicators in general saw a healthy growth in 2018. The property market was relatively active in 1H18. However, investment sentiment became cautious in 2H18 due to the economic uncertainty caused by the intensifying trade war between China and the US, Brexit dilemma and potential interest rate hikes. In view of the slowing economy in China, a few analytic institutions have forecast that Macau’s gaming revenue would see a slower growth. We expect Macau’s property to face pressure in 2019,” says Mark Wong, Senior Manager, Valuation Advisory Services at JLL Macau. In the leasing market, residential rentals went up with the strong demand; the number of imported labour reached a record high in 2018. The rental values for high-end and mass-to-medium residential properties grew by 17.2% and 12.2% y-o-y respectively. “The government launched a series of corrective measures in 2018 including the imposition of a new stamp duty on buyers acquiring more than one residential property, leading to a significant decrease in speculative activities in the residential market due to the increased investment costs. Moreover, the number of residential transactions worth not more than MOP 8 million saw an increase as the government loosened the mortgage lending ratios for the young, first-time homebuyers. However, the potential demand from this group of first-time homebuyers had been absorbed by the market by end 2018. With the current volatility in the external economic environment, end-users and investors have generally adopted a wait-and-see attitude. Coupled with the government’s announcement that 4,000 public housing units will be made available in 2019, residential transaction volume may stay at the low level in the near term while transaction value may fall a bit. 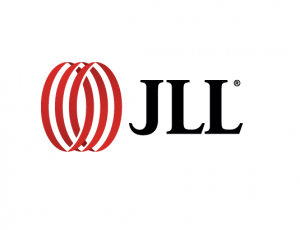 Nevertheless, with the healthy economic fundamentals and the over MOP 600 billion resident deposit, a substantial price correction is unlikely to be seen in the residential market, comments Jeff Wong, Senior Director of Capital Markets at JLL Macau. During the first 11 months of 2018, a total of 5,569 new incorporations registered in Macau, up 15.4% y-o-y, with most of the industries recorded growth. The overall office market remained broadly stable in 2018. Office rentals increased as Grade A office leasing supply reduced. Notable leasing transactions recorded during the year mainly involved railway companies, international auditing companies and China-based banking corporations. According to JLL Macau Office Index, the rental values for the overall office market and Grade A office market grew by 7.4% and 9.9% y-o-y respectively in 2018. In the sales market, the office transaction volume contracted significantly in 2H18. According to the DSEC statistics, a total of 247 office transactions were registered in the first 11 months of 2018, down 9.2% y-o-y. The capital values for the overall office market and Grade A offices rose by 5.9% and 7.3% y-o-y respectively. Office supply continued to be limited, with the overall office vacancy rate slightly fell to about 7% in 2018. The yields for the overall office market and Grade A office market recorded at 2.7% and 3.1% respectively. “Macau’s economy grew steadily in 2018. In Nam Van District, as some of the landlords planned to expand their businesses and took back their premises for self-use upon expiry of the existing tenancies, some tenants needed to find a new space for relocation. Most of the tenants being affected were large-scale companies who preferred Grade A offices with sophisticated building specifications that could fulfil their requirements. Due to the limited stock of Grade A offices in Macau, the sudden increase in demand had led to an increase in Grade A office rentals. Recently, we have been receiving enquiries on co-working spaces from overseas and China-based operators. We believe this new format of workplace will create a new experience of work in Macau,” says Oliver Tong, Head of Leasing at JLL Macau. According to the DSEC statistics, the total retail sales grew by 20.8% y-o-y in the first three quarters of 2018 to MOP 56.97 billion. All of the retail categories registered growth, except for Motorcycles, Parts and Accessories. Fashion and cosmetics retailers were relatively cautious about expansion in 2019 as their sales saw no significant growth in the fourth quarter of 2018. In the sales market, the number of retail units transacted in the first 11 months of 2018 totalled 595, up 12.7% y-o-y. Notable sales transactions recorded in 2H18 were mostly in the tourist areas. For example, two shop units in Praça de D. Afonso Henriques and Avenida do Infante D. Henrique were sold for approximately HK$300 million and HK$200 million respectively. According to JLL Macau Retail Index, the overall retail capital values and retail rental values fell slightly by 2.4% and 2.7% y-o-y respectively in 2018. The yields for the overall retail market maintained at 1.8% as of end 2018. “Chinese tourists have become less keen in shopping due to the depreciation in RMB. Coupled with the increasing supply of retail leasing space in Macau – it’s forecast that over 1 million sq ft of retail space will enter the market in 2019, landlords will become more flexible in rental negotiation. We expect to see a downward adjustment in retail rentals. In fact, lower rentals at the same time will create opportunities for the experiential entertainment operators, such as VR game centres, trampoline parks, cinemas and F&B, etc. Located in Studio City Phase 2 having an area of over 60,000 sq ft, the large-scale indoor VR game centre Legend Heroes Park soft opened recently to provide a brand-new entertainment experience for the local people and tourists alike.” says Oliver Tong. “Macau has been actively promoting diversified development of tourism and different industries which has attracted much attention from overseas operators. Unfortunately, the complicated laws and regulations, and licence application procedures in Macau, have made them move back and finally give up their plans. Recently the Municipal Affairs Bureau has launched a new electronic platform for people to apply for all kinds of F&B licences. We believe it can effectively simplify the licence application procedures and at the same time promote diversified development of tourism and different industries,” adds Oliver Tong. “The government’s relaxation of mortgage lending ratios for young residents who are first-time buyers has successfully helped the young buy their own homes as it significantly lowered the threshold of initial payment for this group of home buyers. Currently, only properties valued at not more than MOP 8 million are eligible for applying for a higher ratio of mortgage lending. However, it’s worth to note that residential vacancy rate in Macau has been at a low level and the properties that fulfil the above mentioned requirements, i.e. properties valued at not more than MOP 8 million, have been mostly absorbed,” comments Gregory Ku, Managing Director at JLL Macau. “For people who want to upgrade to a bigger home, they are subject to a higher initial payment requirement as they can only apply for mortgage lending of up to 40% and need to pay for an additional stamp duty of 5%. This has created difficulties for end-users to upgrade and at the same time significantly reduced residential supply in the secondary market. In fact, the existing mortgage guideline has been in use since 2012 when the price levels were much lower than now. Currently residential units with two or three bedrooms are normally priced at over MOP 8 million. We hope the government would review the guideline and adjust the set property value so as to alleviate the problem of supply shortage in the secondary market,” adds Gregory Ku.